With the fusion of Arabic traditions and some of the world’s best luxury amenities, Dubai has become one of the most sought-after places for a romantic getaway. With the thrilling, unforgettable experiences this city offers, you must consider choosing this emirate as your next destination as a couple, especially if you are looking to unwind and enjoy. 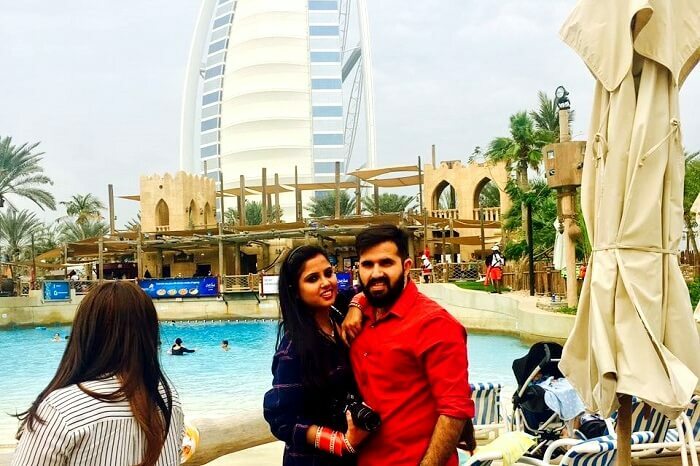 With all the adventures and thrilling experiences you can have in Dubai, you may be confused about when to visit, where to stay, what to do, and where to visit. To help you, here are five tips for getting the most out of your romantic Dubai visit. Due to the fact that the weather during November to March is cool, it is best for you to visit during these months. You’ll get to experience dining outdoors, cruising, visiting local markets and souks, and walking until late in the evening. It would also be best to schedule your romantic trip during the Dubai Shopping Festival, which is often held on the months of January and February. Dubai is home to plenty of luxurious hotels offering only the best amenities. Beachfront hotels like JA Jebel Ali Beach Hotel, for instance, feature suites and rooms overlooking the gulf shores. With its decadent spa, palm-lined beach, sporting facilities, swimming pools, entertainment clubs, and restaurant and bars, expect to enjoy a luxury romantic getaway. If a hotel with beach access is not what you’re looking for, then you can stay in mountain retreat resorts or luxury villas with private pools. Book your preferred hotel for at least four nights and five days because this is considered the ideal duration for a romantic Dubai trip. This allows you to have enough time to engage in adventurous activities, do plenty of sightseeing, enjoy shopping, and experience a desert safari. Once your plane lands, you can ride a shuttle, the Dubai Metro, or a taxi to reach your intended destination. If you choose to ride the reliable, fast and air-conditioned Dubai Metro, know that it runs from Terminal 1 and 3 every 10 minutes. For places that it can’t reach, no worries! Because once you get off the Metro, you can easily find buses or taxis to take you further. There’s also the option of heading off to Dubai Tram stations, which have the added bonus of being positioned close to other stellar accommodation options like JA Ocean View Hotel and JA Oasis Beach Tower. If you want to ride a taxi, you just have to follow the directions provided at the airport. Taxis in Dubai are cream-colored. You may notice some taxis have a pink roof – this means that the drivers are females. The JA Bateaux Dubai offers a luxurious dinner experience while cruising the Dubai Creek. Get on board a glass-enclosed vessel that serves international cuisine as well as offers personalized service and live entertainment. This delightful 2.5 hours of culinary experience is best for a romantic dinner. Witness how magnificent Dubai is by the water as you share great dinner stories with your partner. Dubai offers unique experiences, not just during daytime but also at night. Once it gets dark, be ready for a private Dubai night safari. Be aware that during this activity, you will be supervised by a trained guide to make sure that you and your partner are safe as you explore the desert and the nocturnal species. Be mesmerized as well by billions of stars that you can view with a spectacular night-vision telescope during your stargazing activity. Dubai also offers plenty of excellent spa options for you and your special someone. Remember that a remedial massage therapy will not just relieve all your stress but also rejuvenate your mind. Prepare to be treated with warm milk, almond oil wrap, honey, black sesame, and a honey-based body polish. This 60-minute massage will definitely leave your skin exfoliated and moisturized. If you want to experience the Arabian magic carpet ride, you shouldn’t miss this adventure. As you rise up into the clouds with your partner, be amazed by the golden desert sand dunes. This thrilling adventure is your best escape from the busy city life. Remember that aside from the world’s tallest and biggest structure, Dubai is also home to the largest hot air balloons. If you have booked this adventure, you will be picked up from your hotel before dawn. This awesome experience starts as soon as the balloon is inflated by the pilot and engineers. Since Burj Khalifa is the world’s tallest building, you can have a view of the entire city from the observation deck located on the 124th floor. Wrap up this tour by visiting the beautiful gardens or watching the dancing fountain. If you both love the marine life, don’t miss visiting the Dubai Aquarium. In this huge suspended tank, you will see over 140 species of sea life. But aside from this, you also have the option to engage in once-in-a-lifetime activities like cage snorkeling, a boat ride on top of the tank, or shark diving. Deira is a district in the Dubai Creek that hosts different nationalities and cultures. It is famous for its souks, including the world’s largest gold bazaar known as the Deira Gold Souk. You can also visit the Heritage House that was built in 1890 and the oldest Dubai school known as The Al-Ahmadiya. But sadly, this is now a museum. A Dubai romantic getaway will surely be an unforgettable experience for couples. Both the desert and the city offer a traditional and modern romantic adventure. Without question, Dubai is a must-visit for a romantic getaway.